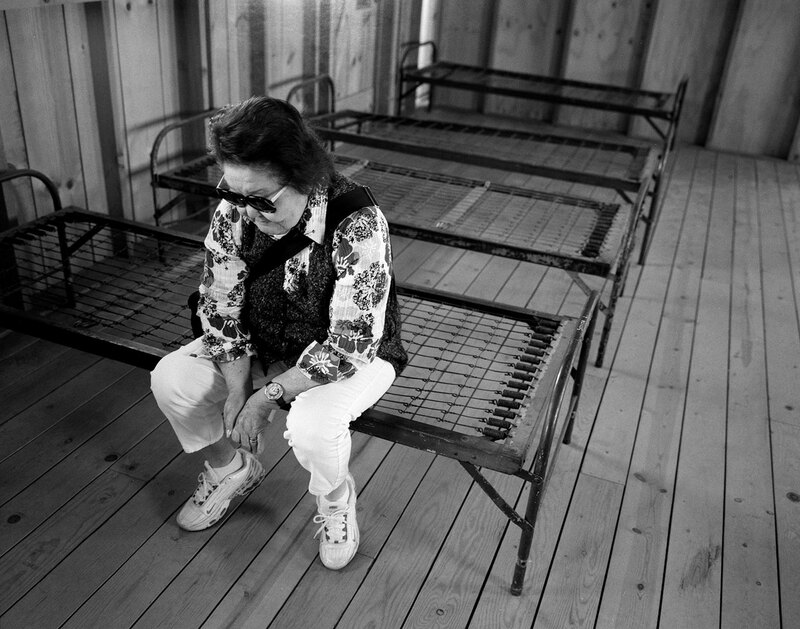 Aiko Morimoto, a survivor of a Japanese internment camp, sits on a cot in a rebuilt barracks at the National Park Service’s Manzanar camp in California, remembering her childhood. The Federal Government has restored a small section of the Manzanar Japanese internment camp in Owens Valley, California. Every year Japanese Americans have organized a pilgrimage to the camp for victims and their families of Executive Order 9066, which in early 1942 set the stage for the imprisonment of over 110,000 Japanese American citizens, in what is widely considered one of the worst historic violations of the Constitution.